Poor quality coffee. Waste of money. 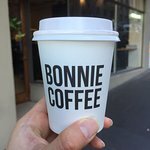 Bonnie Coffee has always been one of my main coffee stops in Melbourne, consistently excellent brews, friendly service and always welcome having mineral water beforehand to clear your palate. Stopped here for coffee, this place gets very busy but they pump out the coffee fairly quickly. It gets very noisy inside during peak times in the morning and its hard to have a conversation... They also have free bubbled water. 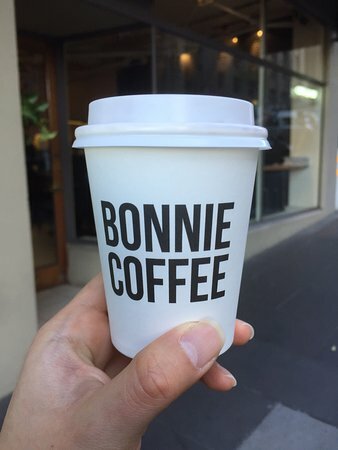 Bonnie Coffee are professionals who are passionate about quality coffee. 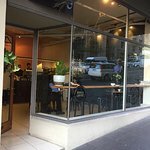 Loved the coffee and friendly staff, fast service , great atmosphere. Chain store coffee place. 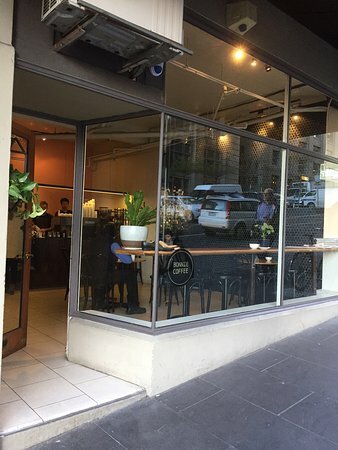 The place is small and unobtrusive but nicely fitted out. 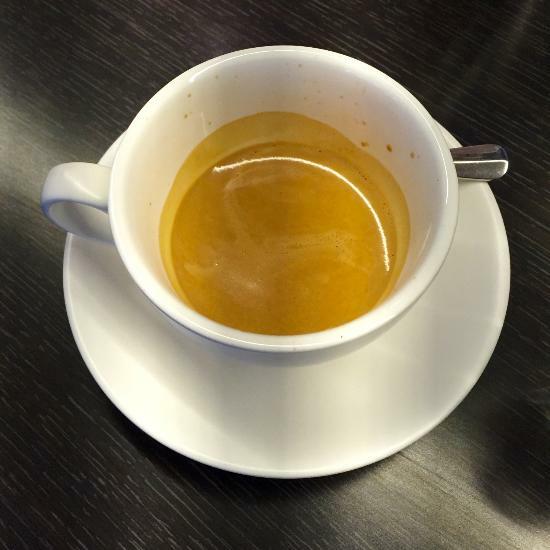 The coffee is pleasant without hitting significant heights. Service was competent but distant. No wow factors evident here. 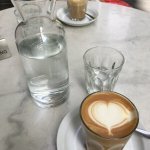 About as Melbourne a coffee shop as you'll ever find! 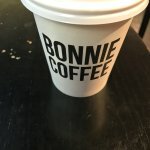 Get quick answers from Bonnie Coffee Co staff and past visitors.